In the contemporary world people encounter lots of information. This “ocean of information”, as it may be called very reasonably, offers real facts as well as plenty of distorted data. It is typical for bloggers today to catch the reader’s attention by proposing emotional arguments in capital letters. Instead of telling the truth, most people today prefer expressing their own opinion only, thereby presenting it as the only legitimate one. There are counters on the blogs which count the number of visitors. The more visitors a blog has, the higher in the rank it will be. In this way, it becomes more important how to attract more readers than how to tell the truth, or to present true facts. Writing a hook for an essay can include various strategies and methods. At any rate, you should adhere to the following important principle: your introduction should be relevant to the remaining part of the text. Let’s see now what this should mean. Your task is to write a good introduction in order to attract readers and also not to ignore the other part of the essay. For, if the reader is able to see that only the introduction is interesting, they will stop reading. In such a sense, you must distribute the information very well. The key to the interesting introduction is a different style of the intro in comparison with the main part of the essay. 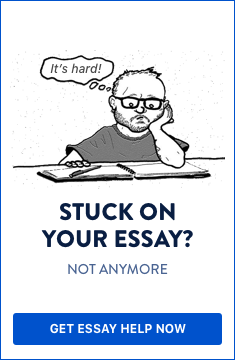 If we take it for granted that your essay allows you to write more “freely” (which is not possible when you write an academic paper or literary analysis), then it is possible to employ methods for attracting attention. Say “no” to newspaper headlines! It’s not that newspapers are so “bad”, but in all cases their headlines are especially intended for attracting the reader’s attention. Oftentimes it happens that the headline does not correspond to the article’s content. This is a matter of journalist ethics which, unfortunately, sometimes is dismissed. Thus, the title of your paper should not copy the newspaper’s headlines. The same can be said about your introduction: instead of a shocking first sentence, you can use methods employed by various thinkers for centuries. A very useful hook for an essay is asking rhetorical questions from the very beginning of the paper. For example: “People have been asking themselves about the meaning of life for centuries. However, is this question so important for them? What difference does it make when we know the meaning of our lives? Is it possible to find the solution to such a problem?” You can also use phrases like “Who am I?”, “Is this the real world?”, and many others. Remember: such phrases can also be used in other parts of the essay. Another widely used method is referring to the words written by a famous writer. For instance, the first sentence of Leo Tolstoy’s novel Anna Karenina about the happy families. The citation should be relevant to your topic, and it also needs to be easy recognizable by the reader. The last effective method for attracting attention is when you begin with a personal confession: “I always thought that…”, “When I was a child I…”, “My parents always told me…”, and so forth. However, keep in mind that only one confession (a feeling, a memory, a thought) can be the center of your introduction. You should develop a particular idea in the main part of the essay, so there should be a continuation of it. 3 best ways to write a hook for an essay: 1) asking rhetorical questions; 2) referring to the words written by a famous writer; 3) starting off with a personal confession. No one really knows how to write a hook for an essay. It just happens, whether thanks to inspiration, knowledge, or style.